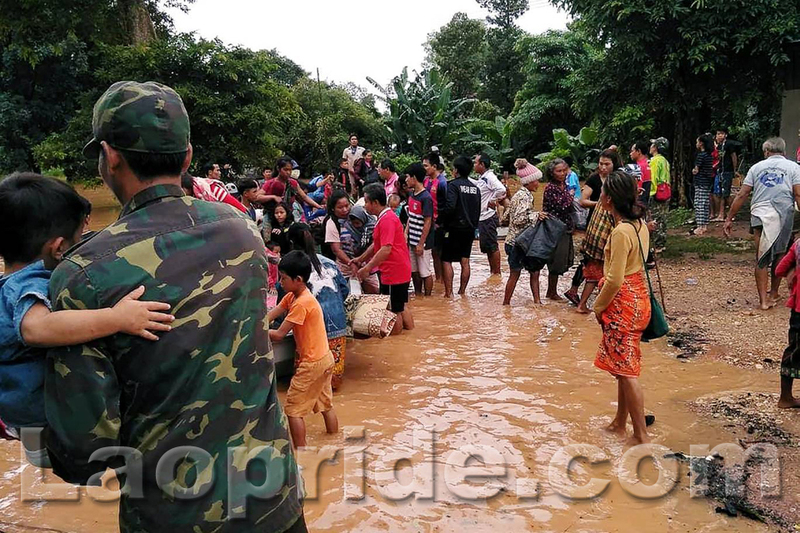 Hundreds of villagers are still missing in Laos' southern Attapeu province after one of the dams at Xe Pian Xe Namnoy hydropower was crested causing flash flooding, a senior provincial official has said. 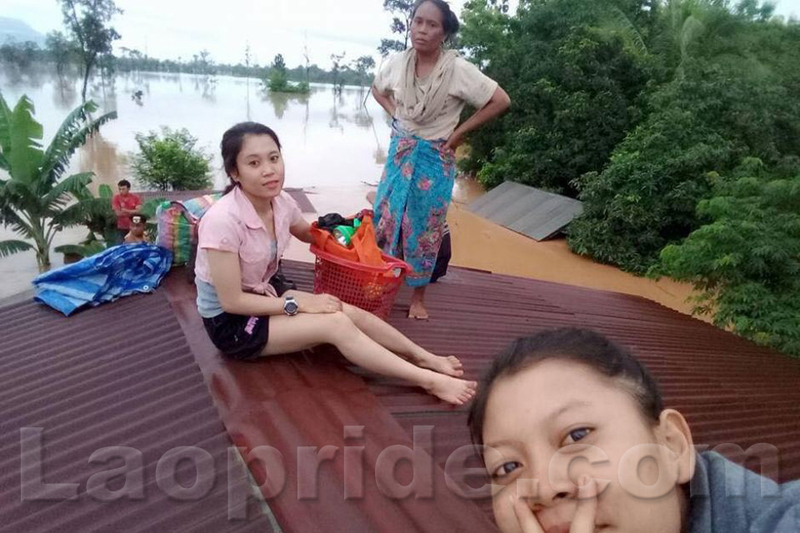 Prime Minister Thongloun Sisoulith yesterday cancelled the cabinet's monthly meeting for July and flew to the province's Sanamxay district to supervise the rescue operation there. The incident led to flash flooding on Monday night, affecting the district's eight villages that are home to more than 4,200 people. 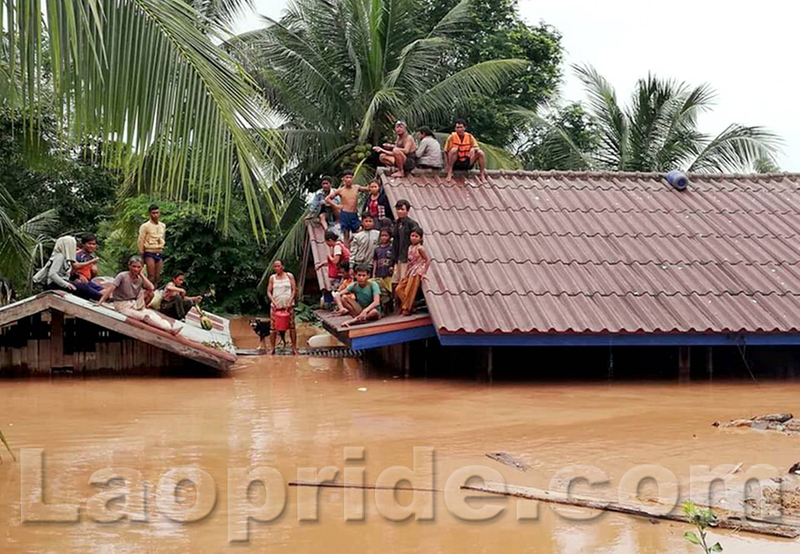 "Villagers have sought shelter on their roofs, and some climbed up trees to escape the flood waters," an official of the provincial rescue operation board said on condition of anonymity. 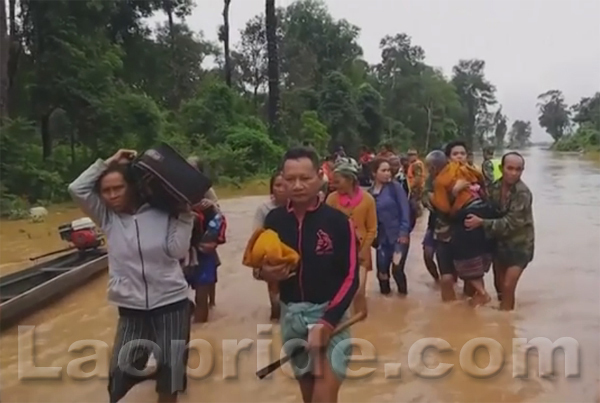 Helicopters, boats with officials and individuals from various sectors have been deployed for the rescue operation to search for the number of people still stranded or missing, district governor Mr Bounhome Phommasane said. More significant numbers of people have been rescued and are sheltering at the facilities of the district's main municipality. 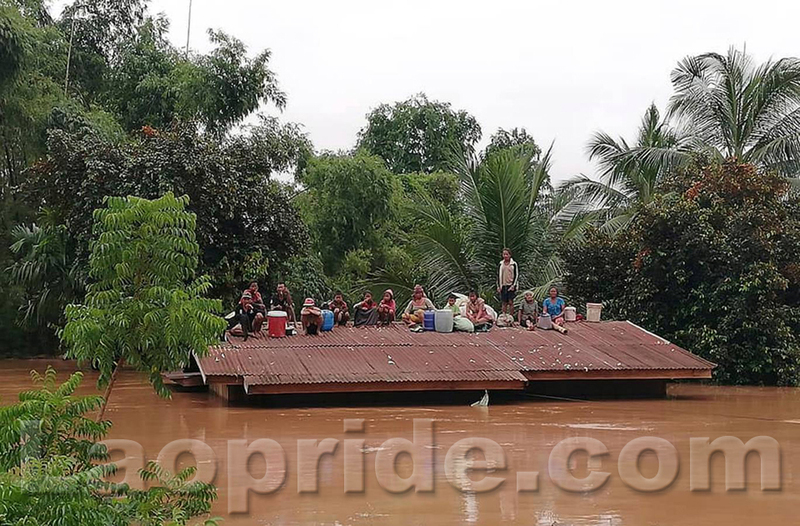 Rescuers are battling with time as the flood level is poised to increase, the governor said, adding that the number of affected villages are likely to grow amid the rising waters. Moderate and heavy rains with strong winds are forecast for some areas in central and southern provinces in coming days, which could worsen the situation, the Meteorology and Hydrology Department warned. The incident is Laos' latest dam-related accident to cause flooding with heavy losses. Last year, the reservoir of the 15 MW Nam Ao Hydropower Dam in northern Xieng Khuang province collapsed, resulting in flash floods that damaged properties and risked lives. The last year's accident prompted members of the National Assembly (NA) to question the government on enforcement of safety standards being applied for the construction of hydropower plants of which Laos has developed and plans to develop more. Any hydropower projects applying low-quality technical standards in their construction would be cancelled, Minister of Energy and Mines, Dr Khammany Inthilath, told the NA in October last year. A task force committee had been formed to inspect the quality of hydropower plants across the country, Dr Khammany told the NA's Fourth Ordinary Session. 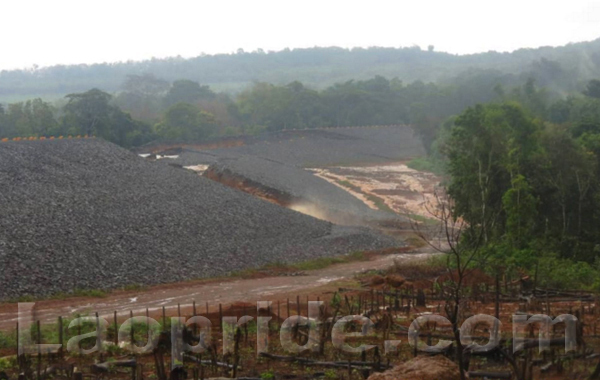 Construction of the Xe Pian Xe Namnoy hydropower plant began in February 2013 with commercial operations expected to begin within this year. Constructed by the PNPC, the 410 MW Xe Pian-Xe Namnoy hydroelectric power project is estimated to produce an annual energy generation of approximately 1,860 GWh. PNPC is a joint-venture formed by SK Engineering and Construction (SK E&C), Korea Western Power (KOWEPO), Ratchaburi Electricity Generating Holding (RATCH), and Lao Holding State Enterprise (LHSE). SK E&C holds a 24 percent stake in PNPC, LHSE 26 percent, and RATCH and KOWEPO own equal shares of the remainign stake in the project. Estimated to cost US$1.02bn, the initiative is the first build-operate-transfer (BOT) project to be undertaken by South Korean firms in Laos. 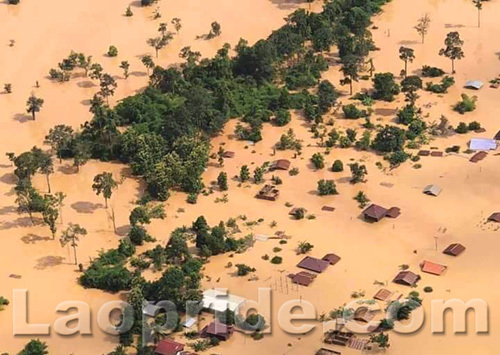 Before-and-after satellite images show the Xe-Pian Xe-Namnoy hydropower dam in southern Laos. May Buddha bless the people in Attapeu province, Laos. 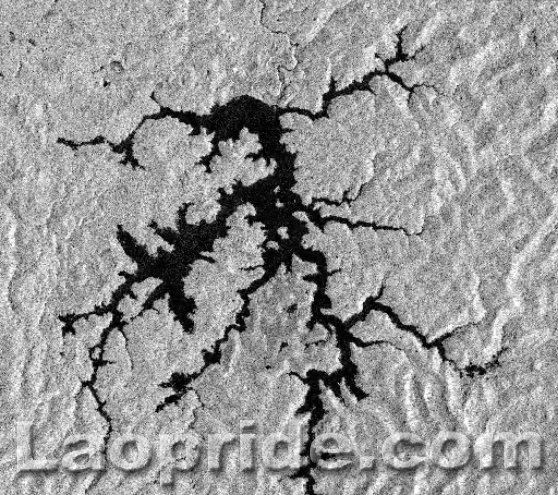 I circled the area in order to give you a better understanding where the dam wall broke at Attapeu province at 8pm Lao time, on Monday 23rd July, 2018. 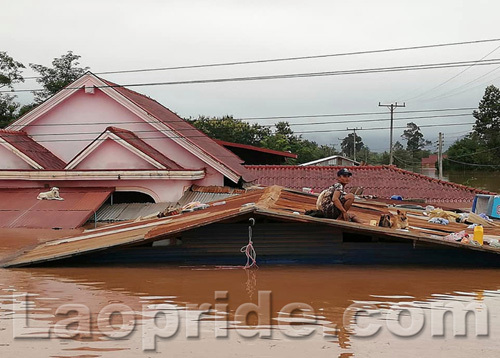 This is the wet season in Laos with heavy rainfalls causing high water levels in rivers and dams. 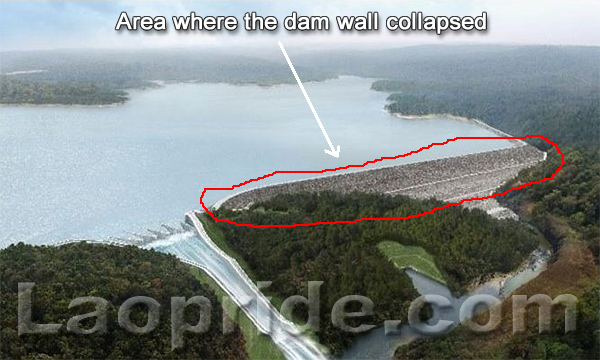 The dam appears to be an earthen dam, same type of collapse and death toll has happened in U.S.A. from earthen dam collapse. 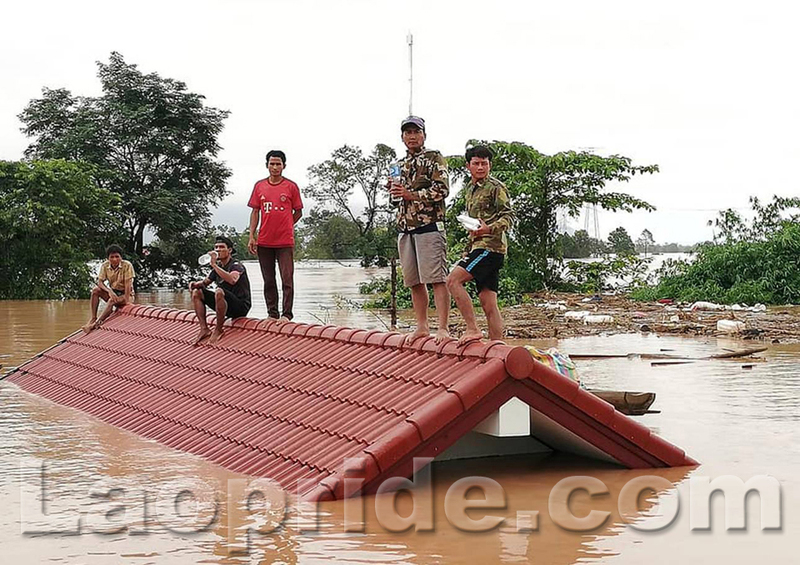 The unlucky people, who in a moment lost everything, including loved ones are to be pitied. There could not have been much warning for those downstream. My prayers for the survivors. 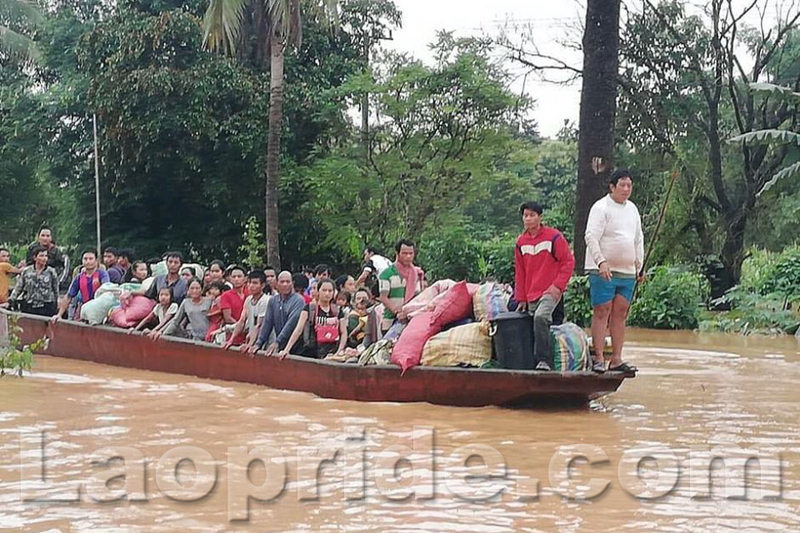 The current update is that more than 3,000 people still require rescue from the flooding in Attapeu province, southern Laos. About 19 people have been found dead so far but this figure is expected to rise because over 3,000 people have yet to be rescued or otherwise accounted. We must also not forget that a lot of poor animals such as chickens, ducks, pigs, dogs, cats, buffaloes, etc have died because agriculture is the main activity in rural Laos. Most Lao people would have just finished dinner at home and relaxing before going to bed, then all of a sudden they are dead or missing. Life is too short. Live it and enjoy it because we never know what unexpected things will bring tomorrow. 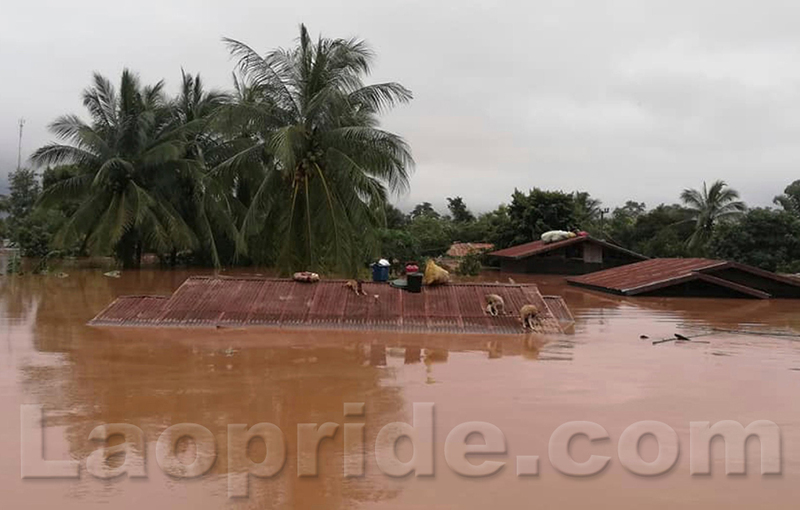 It appears the dam was fractured after continuous rainfalls caused a high volume of water to flow into the project's reservoir. 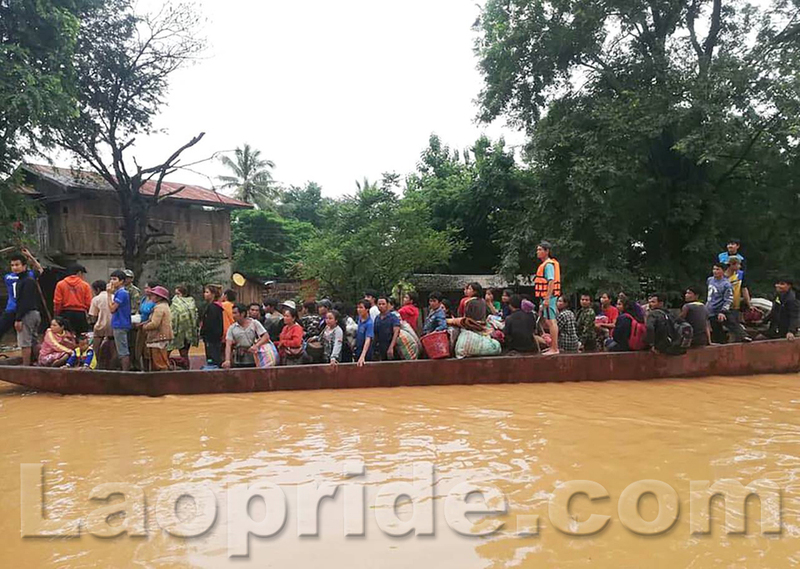 Lao Prime Minister Thongloun Sisoulith pledged to carry out inspection into the real cause of the collapse whether it was the heavy rainfalls or the technical standard applied for the construction of the dam is to be blamed. 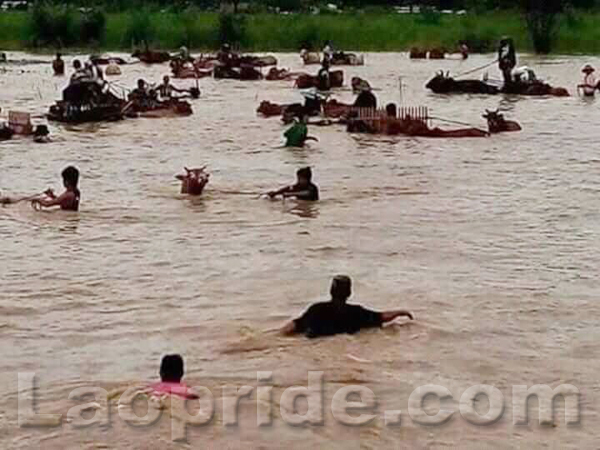 In the meantime, there are many people out there who still need to be rescued or have bodies recovered. Difficult communications and heavy rains in the area have hampered rescue efforts. 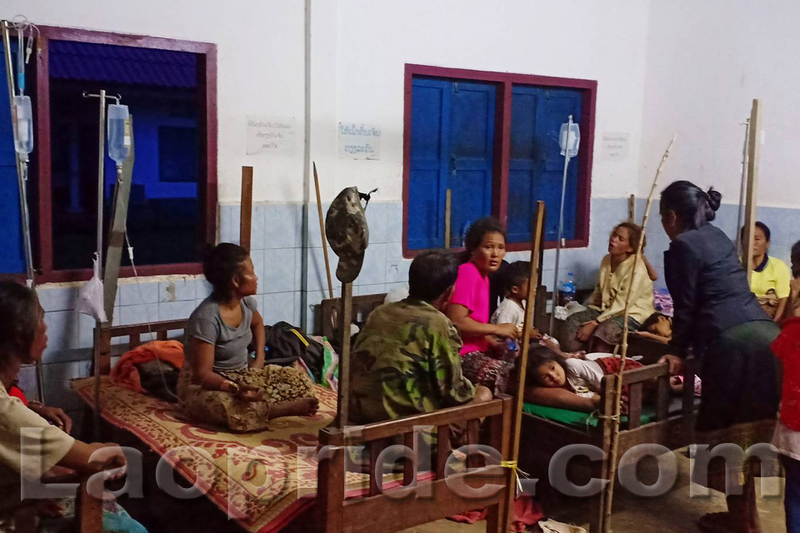 The rescued villagers have undergone health check-up and provided with basic needs. Very good point about the loss of the animals also. 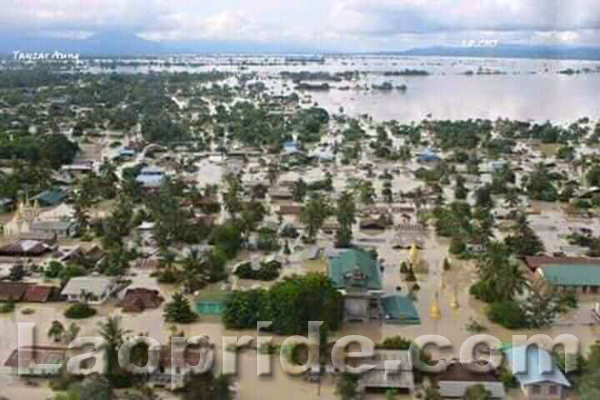 If and when the poor farmers can return to their flooded property they will have no livestock. Their pet dogs, cats, birds, etc., are a terrible loss too. Fate is inscrutable, which is why we should strive to keep Karmic Balance, our last action, good or bad, can happen anytime. 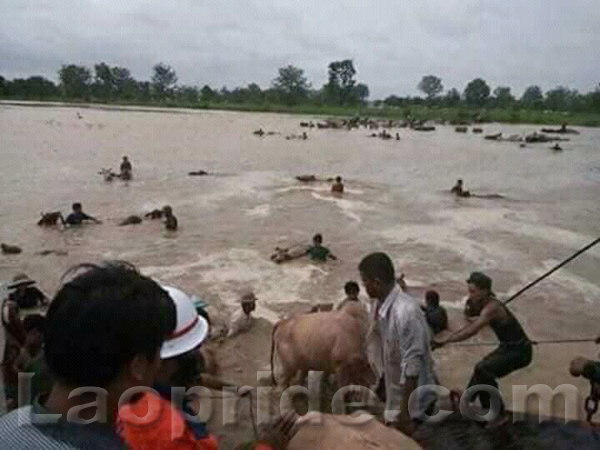 Lao villagers help rescue animals from floodwaters in Attapeu province, Laos. I heard that international news agencies are being kept out of the area. I have been involved in dam construction around the world and what I have read about what was observed on the top of the dam wall prior to the collapse indicates that there seems to have been a lack of inspection processes during construction. little kids and old people, and those who send supplies. Venality is, historically, the cause of these collapses. Honest engineers and others point out fatal flaws. They are silenced by managers and businessmen. 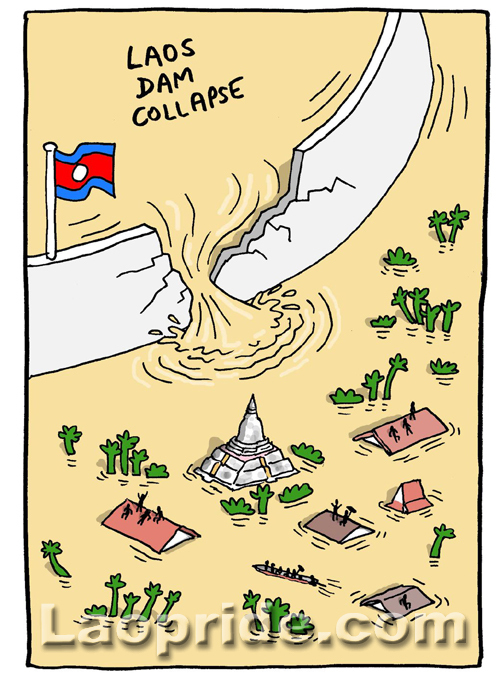 Money changes hands, costs are inflated, corners are cut, documents falsified; in the end is structural collapse, be it a dam, a bridge, or a building. 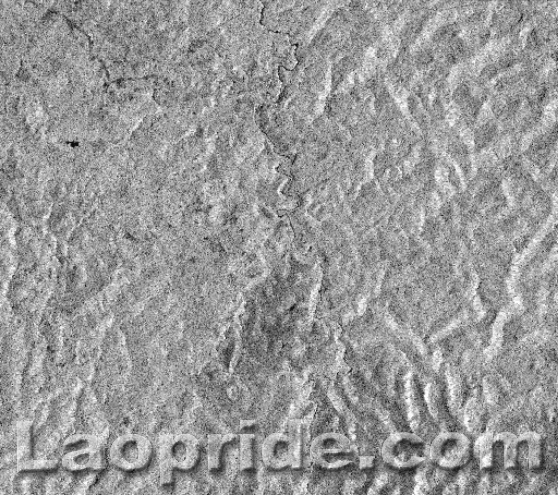 is made to ensure safe future construction standards. oh stumpy.. that rings a bell. 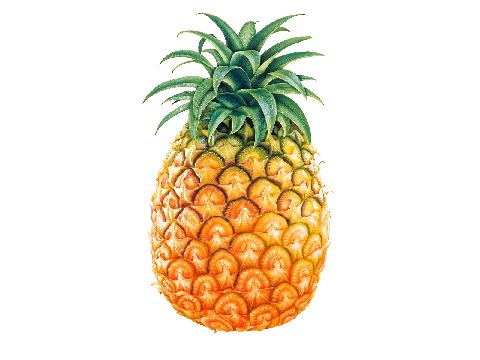 i remember you from another expat forum. though I can't remember the name. the owner was a snobby British guy who married a Thai girl from Chiang Rai. He banned one European guy for bashing on women in every other thread..